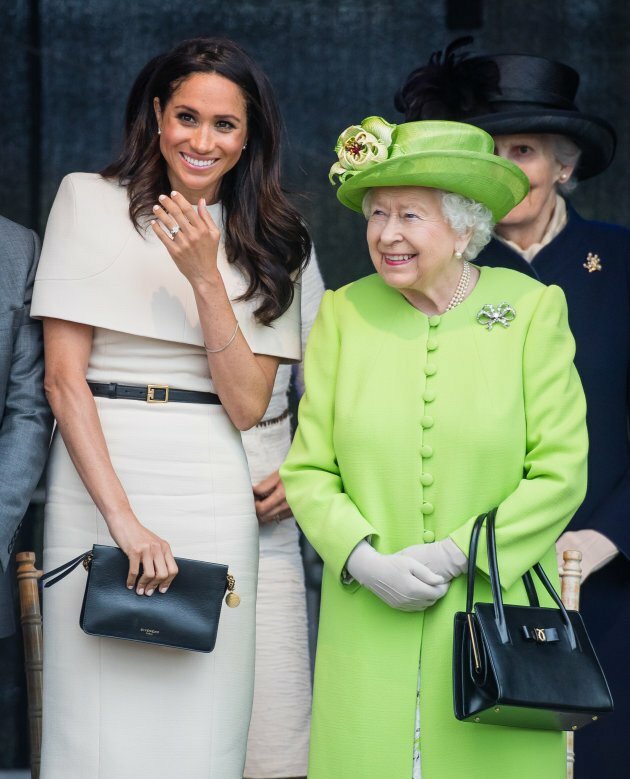 Why Both Meghan And Kate Wore Muted Colors For Their Outings With The Queen? 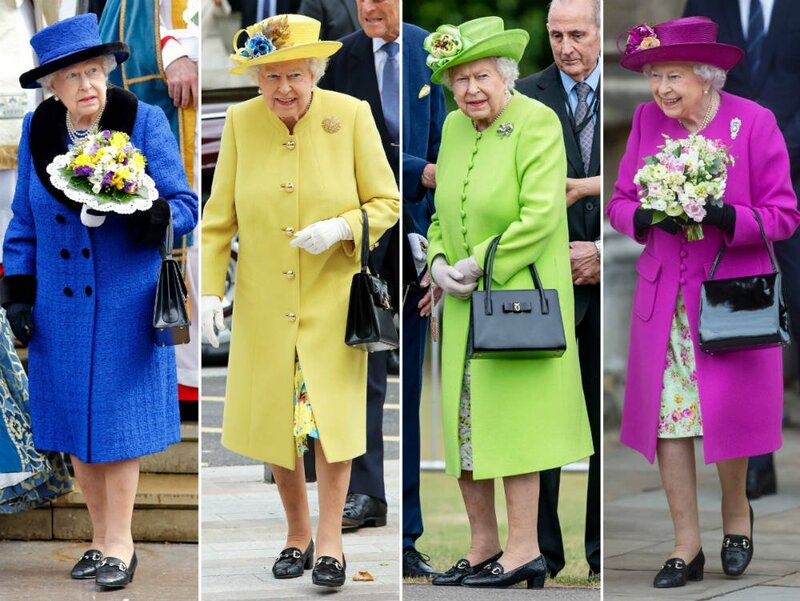 Meghan And Kate have never shied away from wearing brightly coloured outfits-earlier this year Meghan wowed the fans with a bold red and purple combination, while Kate’s closet is a complete rainbow, but despite all that there is one true Queen of colour. On Tuesday, Kate joined the Queen on her visit to the Strand Campus of King’s College in London. 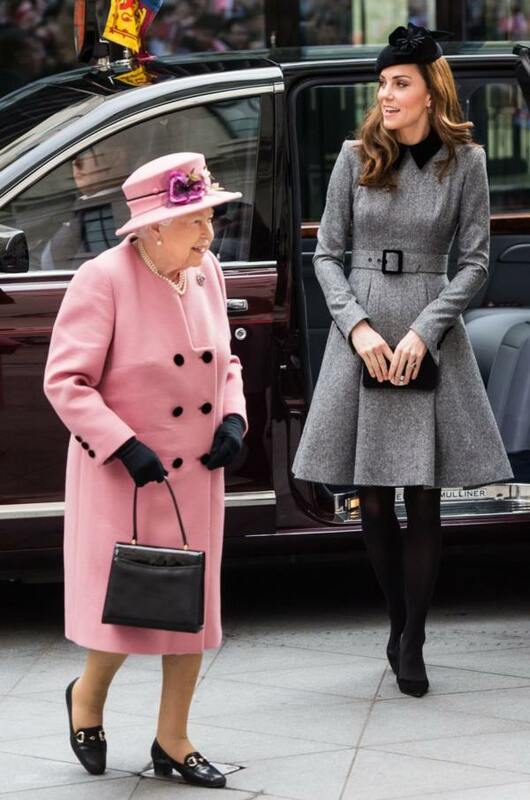 Queen Elizabeth, being the 92-year-old fashion icon she is, went for a Stewart Parvin pink cashmere coat over silk printed dress and a matching wide-brimmed hat, finishing the look off with a pink sapphire and diamond brooch. 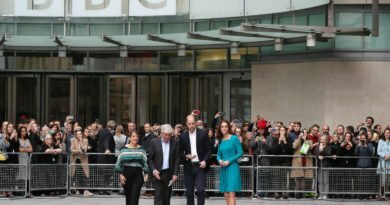 In contrast, the glowing with youth Kate wore a grey Catherine Walker coat dress and one of her go-to black fascinators. When Meghan Markle, after marrying Prince Harry went on her first solo outing with the Queen in June of last year, the Duchess of Sussex also went with a tame choice, a light beige pencil dress with a cape top by Givenchy. 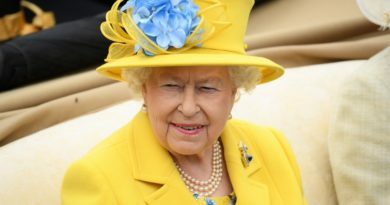 The Queen, of course, went with something more vibrant that makes her stand out, a lime green suit dress by Stewart Parvin and a matching hat by Rachel Trevor Morgan. 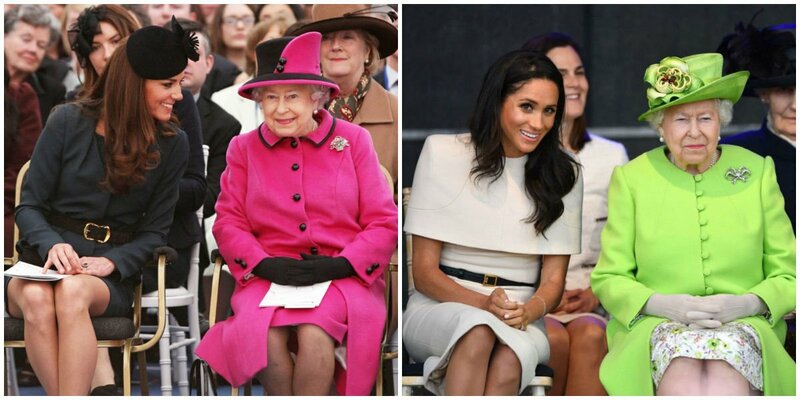 The reason why both the Duchess of Cambridge and the Duchess of Sussex are choosing subdued colours when on joint outings with their grandmother-in-law is quite simple: you don’t get to steal the spotlight away from the monarch. Queen Elizabeth’s fashion choices and outfits are very much deliberate and planned. She usually wears a rainbow of bright clothes so her fans can easily spot her in a crowd. 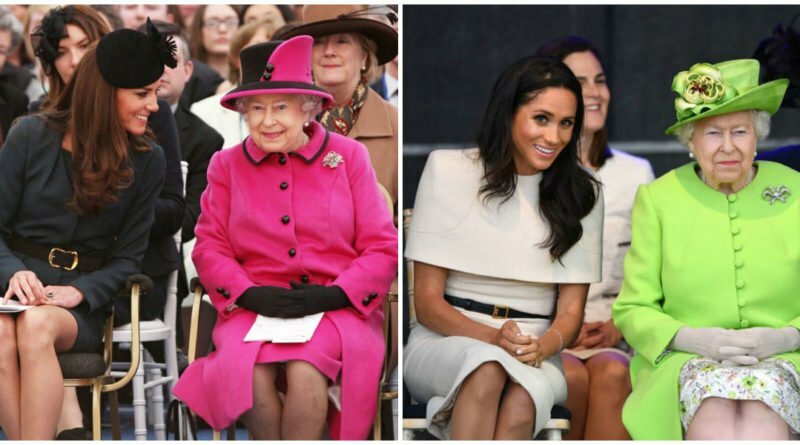 When not on an outing with the Queen, Kate Middleton has also been using almost every colour of the rainbow, from bubblegum pink to emerald green, as a way to stand out in the crowd. 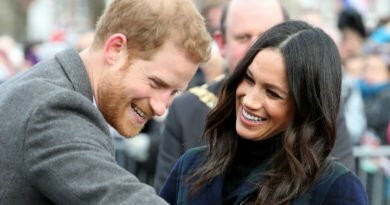 Meghan, despite being a fashion icon way before becoming a royal, prefers more neutral colour such as white, blush or navy, but isn’t scared to experiment with bolder colours, as was the case for her gorgeous light blue caped gown during a reception in Fiji or a bright yellow sheath dress. READ NEXT: Kate Just Copied Daughter Charlotte’s Favorite Move!